This is to describe once nice feature that I found in the Beat 2 version of Vista. 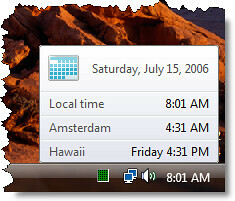 Vista can display clocks in multiple (up to three) time zones. This is how it normally looks in the tray. And when you click on it, you get this picture.. 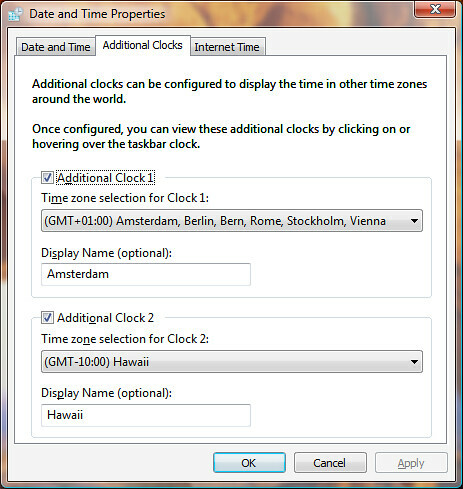 This is the settings pane for configuring additional time zones.